bränslebesparande additiv som även reducerar avgasutsläpp. Eurol Turbosyn 10W-40 is a semi-synthetic motor oil with a universal applicability in gasoline and diesel engines in passenger cars and light duty commercial vehicles. This oil provides a good lubricant film at a cold start, also at low temperatures and offers an excellent lubricant film at high operating temperatures as well. Eurol Turbosyn 10W-40, with a special additive package, enable the engine to perform under all conditions. Also fuel saving and exhaust emission reduction can be obtained with this product. Because of the unique formulation, the oil has a low evaporation tendency. Eurol Turbosyn 10W-40 offers excellent anti-wear, anti-foam and corrosion protection properties. 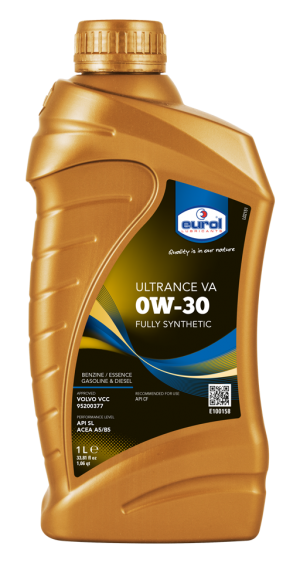 Together with deterging and dispersing capabilities, the oil keeps the engine clean and in a safe condition. Because of the high temperature stability, Eurol Turbosyn 10W-40 will maintain its quality level and will not thicken. 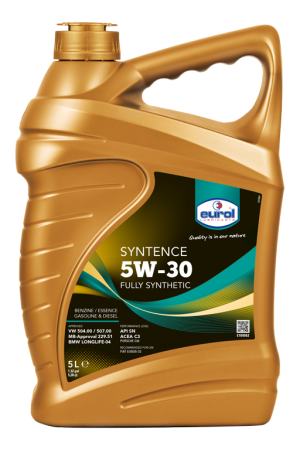 Eurol Super lite 5w-40 Godkänd av volkswagen Mercedes Renault.